- Slow traffic has been reported on the A264 Copthorne Road in Felbridge, eastbound before A22 London Road (The Star Inn traffic lights). - Slow traffic has been reported on the A280 in Long Furlong, but is said to be easing, southbound, before the A27. 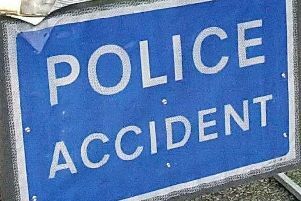 - M23 slip road closed after serious collision on M25. Read our story here. - Slow traffic on A2025 Grinstead Lane northbound at A27 Upper Brighton Road (Lancing Roundabout). - Engineering work is taking place between Three Bridges and Brighton/Lewes closing the line. Replacement buses will run between Three Bridges and Brighton/Lewes. - No Gatwick Express trains between Gatwick Airport and Brighton today. Gatwick Express trains will only run between London Victoria and Gatwick Airport. These trains will not run between Gatwick Airport and Brighton.